Remember my story from Part 1. We recently launched a new product and I wanted to check how to improve our sales tactics. So I did research on some of the big software companies* and their distribution models from 1995 till now. And here it is, a list of common patterns and successful practices they use. To sell efficiently, you need to have a good image. People like trendy products. But to become viral and scale fast you need to put some money into advertising and marketing. It is really important to do smart advertising – that doesn’t always mean expensive. Apple’s product commercials gained fame for launching musicians into stardom as a result of their eye-popping graphics and catchy tunes. “People have an incredibly personal relationship” with Apple’s products. The Twitter people cleverly placed two 60-inch plasma screens in the conference hallways, exclusively streaming Twitter messages,” remarked Newsweek‘s Steven Levy. ” Hundreds of conference-goers kept tabs on each other via constant twitters. Panelists and speakers mentioned the service, and the bloggers in attendance touted it. Organized a big buyer sourcing event in Delhi – their first offline business matching event in India – to promote products from their Indian Gold Supplier members. In May 2010, Groupon created a challenge to live off Groupons for one year. The contestant Josh Stevens traveled throughout the United States and to the United Kingdom and purchased all food, drinks, travel, entertainment and more from Groupon for 365 days. Right marketing and advertising is the key to your company’s growth. – Broad User Focus – marketing and selling our software products directly to the business user by providing an easy-to-use platform that can be used with minimal training. – Low-Risk Rapid Product Adoption – providing a low-risk alternative to costly, all-or-nothing, enterprise-wide deployment requirements. – “Land and Expand” Customer Approach – initially targeting specific business users or departments in an organization to create a loyal user base that promotes broad adoption of our software products across an organization. – Globally Diversified Distribution Model – employing a multi-pronged international sales approach that leverages a direct sales force and partner network. – Community-Based Marketing and Support – augmenting our development, marketing and support efforts through our online Qlik Community. Groupon breaks into new markets by identifying successful local businesses, first by sending in advance a number of employees to research the local market; when it finds a business with outstanding reviews, salespeople approach it and explain the model, and use social marketing sites such as Facebook to further promote the idea. Youtube: In 2007 was the first time YouTube made it possible for everyday people to turn their hobbies into a business. About a year later, the most successful users were earning six-figure incomes from YouTube, The New York Times reported in 2008. Youtube wins from advertisement. To penetrate the market efficiently, you can leverage the image and the community that you have created. This will boost sales and can scale really quickly. It is not always necessary to build a huge brand to be successful. 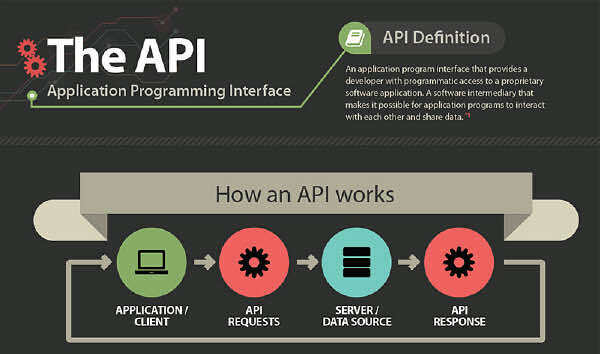 In the software industry, you can sell a good API that your customer can implement in their already existing solutions and leverage from their created community and brand. Shutterfly: “Our focus has been on how to build a platform so it would be efficient for others to plug-in and partner with us. A good set of APIs will allow us to partner more effectively with other sites.” You can then plug into a vertical ad network and let them distribute our online advertising more effectively based on the contextual relevance of the content, and if we create a brand platform that allows you to stand for a category, you can get leverage. I recommend reading this great article about how to market your API as a product. In the end, it all comes down to luck. You can never know if it is the right time to launch your product or if it will get viral. You can do everything in your power to push your product on the market but can you never know what will actually happen. Just work hard and keep your fingers crossed! Luck is what happens to you when destiny is tired of waiting. * All above are the distribution models of : Netscape Communications, Apple, Microsoft, Oracle, SUN, Twitter, Google, VMware, Alibaba, Adobe, Qlik Technologies, GroupON, Cognizant Technology Solutions, Shutterfly, Pegasystems, Red Hat, WhatsApp, WeChat, YouTube, Vine, Imgur, Twitch, Spotify, Flipboard, YinzCam and more. What about your sales tactics? Share your example in the comments below.